Perfect timing on this 'romantic' shot! Reminds me a smugmug photographer that passed away. Ginger "creeklady"
great shot,B&W works perfectly,well done !!!!! Perfect timing and I love the tone you used! This is perfect in every way! wonderful. 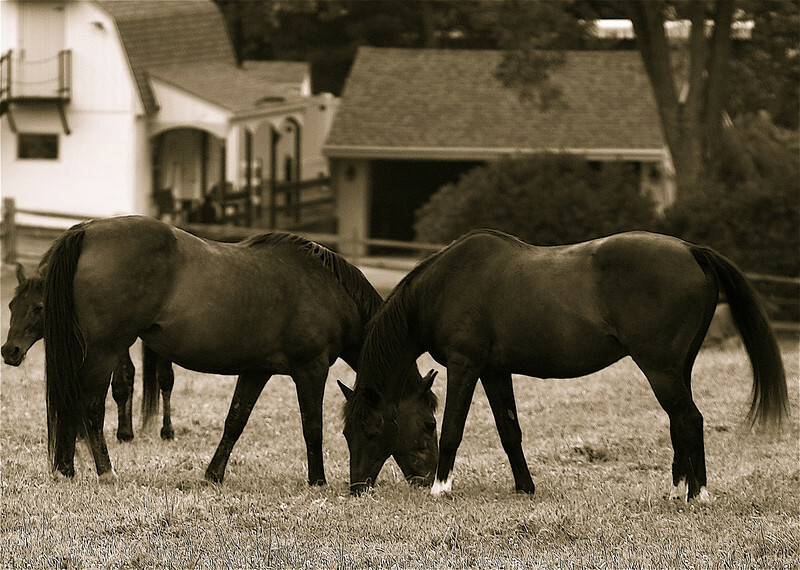 There's nothing more peaceful than watching horses graze.